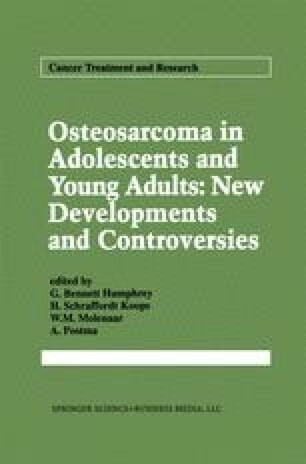 Small cell osteosarcoma (SCO) is a rare but distinct variant of osteosarcoma. Although Hutter et al. in 1966 and Jacobson in 1977  described small cell tumors of bone capable of differentiating into bone and cartilage, Sim and collaborators , reporting in 1979 on 24 patients at the Mayo Clinic, were the first to delineate the clinicopathological features of this entity. Further clarification was given by other investigators [4, 5, 6, 7], but few large series of patients with these lesions have been studied [3, 4, 5, 6, 7], and there have been only several case reports [8, 9, 10] of these lesions.